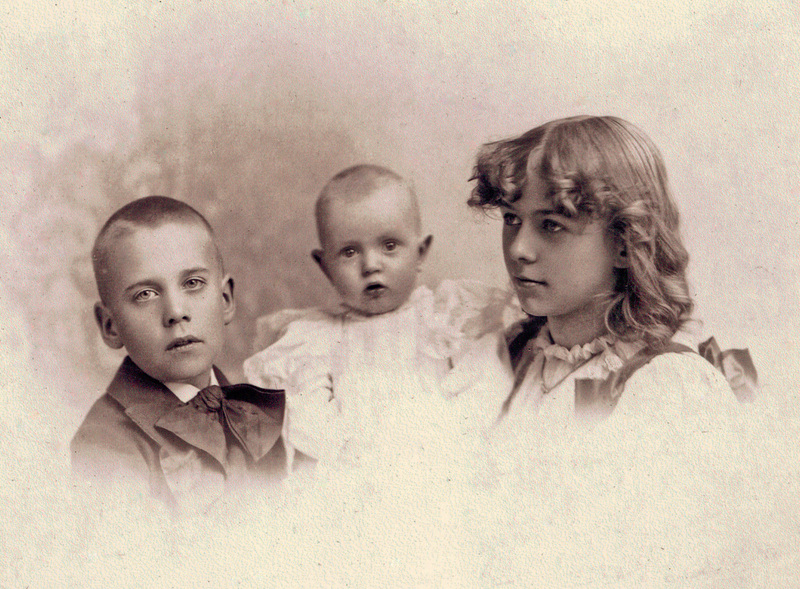 From left to right are the children of Emily and Melvin Clark: Edward J., about nine years; Melvin J., about one year; and Marguerite, about fourteen years. Edward wears a suit and a large bow tie, the baby Melvin wears a white dress (typical for the time) with large ruffles over the sleeves, and Marguertie wears a blouse with a ruffled neck. Title by cataloger. Emily and Melvin Clark adopted the three children, but it is not known if the children were related to each other.